Question 1: What is sustainable living? How could someone achieve sustainable living? Do you personally think you could reach sustainable living? 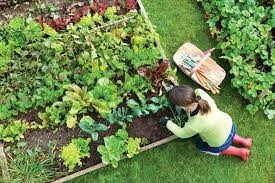 Sustainable living is using as many natural recourses as possible to reduce your effect on the planet. In other words it's a lot like "going green." Someone could take steps like walking or biking to places more than driving, planting a garden, and many other things. I think it would be difficult but if I really had to I think I could do it. 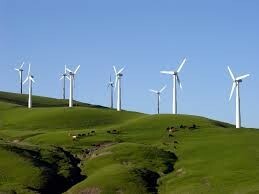 Question 2: Fossil fuels vs renewable energy- compare and contrast the two forms of energy. 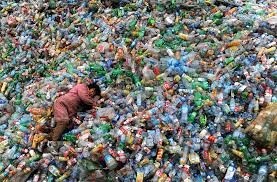 Look at the cost financially to humans and environmentally to the Earth. Fossil fuels are easy to get to and use but as soon as we use them all they're gone; we can't get them back. While fossil fuels are easy to obtain, they can cause a lot of pollution that harms people and the environment. Renewable resources are a lot better for the environment and we won't run out, but we need a lot more technology to obtain it. Question 3: What does it mean to recycle? Why should someone recycle? How long does it take for these to decompose? Recycling is reusing materials and making it into something else to use again. People should recycle because it reduces waste and pollution that can harm the environment. Plus it costs less than buying things new. Question 4: What is the Great Pacific Garbage Patch? What can we do here in Iowa to help decrease it? 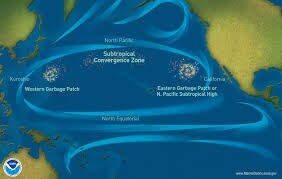 The Great Pacific Garbage Patch is a collection of litter in the North Pacific Ocean. We can help reduce it by using more biodegradable materials so the little has decomposed by the time it reaches the ocean. We can also help by simply recycling. Question 5: Define 2 biomes of the world, define an ecosystem found in each and explain the biotic and abiotic factors involved. Question 6: Choose any biome, create a food chain defining the primary producer, primary consumer, secondary consumer, tertiary consumer, quaternary consumer, herbivore, omnivore, carnivore, scavenger, and decomposer. Question 7: What are dead zones in the Gulf of Mexico? What causes this situation? What can be done to help stop them? 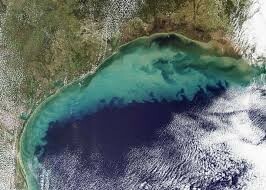 The dead zone of the Gulf of Mexico is an area of hypoxic, an area of very low oxygen, at the mouth of the Mississippi River that can't support life. It can cover up to 6000-7000 square miles. It is caused by nutrient enrichment from the Mississippi River, particularly nitrogen and phosphorus. Dead zones can't be reversed but can be reduced by stopping fertilizer and waste runoff into lakes, rivers, and streams. Question 8: Define Keystone Species, give 2 examples, one a top predator and one not a top predator. Explain how their absence would affect the ecosystem. Keystone species are species which other species largely depend on. 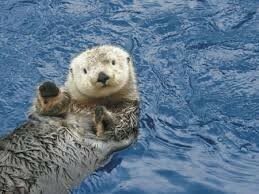 One example is a sea otter. Without sea otters eat sea urchins keeping the population from getting too big and eating all the kelp. Mountain lions are another example. They help keep deer, rabbit, and bird populations in check. Question 9: Competitive Exclusion- define it and give 2 examples. Competitive exclusion is the inevitable elimination from a habitat of one of two different species with identical needs for resources. An example would be the red squirrel. Question 10: Define the following terms and give 2 examples of each. Coexistence: living peacefully with another species. Question 11: Explain the carbon cycle and how do humans affect this cycle? The carbon cycle is the circulation and transformation of carbon back and forth between living things and the environment. By burning fossil fuels, humans release more carbon into the atmosphere causing a rapid change in the carbon cycle. Question 12: What is global dimming? Where does it usually affect and why is it a problem? Global dimming is a decrease in the amount of sunlight that reaches Earth's surface due to tiny particles released into the air from burning fossil fuels. It can have devastating effects on Earth. The pollutants that cause global dimming can also lead to acid rain, smog, and respiratory disease in humans. Question 13: Explain the Greenhouse Effect. How do the carbon cycle and the greenhouse effect go together? The greenhouse effect is the trapping of the sun's warmth in a planet's lower atmosphere due to the greater transparency of the atmosphere to visible radiation from the sun to infrared radiation emitted from the planet's surface. When carbon is released into the air it contributes to the greenhouse effect and also global warming. Question 14: Define endangered species and give an example. 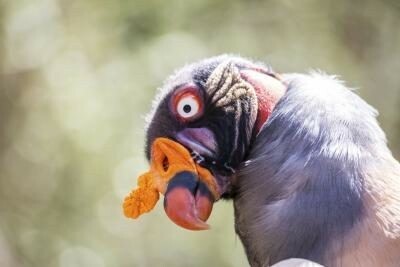 How does a species become endangered? What if this species was a keystone species? What would happen to the current ecosystem? Why should humans care about the endangered species? An endangered species is a species of animal or plant that is seriously at risk of extinction. An example of an endangered species is the black rhino. a species can become endangered because of changes in the environment or an increase in predators. If a keystone species becomes endangered, it can cause a huge change in the habitat it lives in. Question 15: Invasive Species- define invasive species, give 2 examples how do they affect the ecosystem they are now invasive to? How did the invasive species arrive to their new ecosystem? An invasive species is a plant, animal, or other organism that is not native to a certain ecosystem and is likely to cause harm. Some examples are the asian crab and the zebra mussel. They can displace native species and reduce the native wildlife habitat. 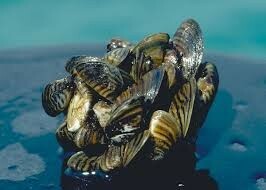 Zebra mussels came here from Europe by attaching to ships heading to the Great Lakes then reproduced and spread. Question 16: At one time rainforest covered 14% of the Earth's land surface. Today rainforest only covers 6%. Why should a person care about the lost rainforest ground? Why are the rain forests being cut down? What would happen if they all disappeared? 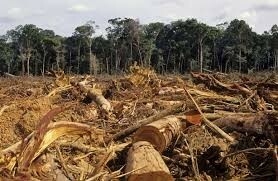 Rain forests are being cut down for many reasons. The trees are being used to make lumber. They are also being cleared to make room for farming and making roads. By cutting down so many trees we are reducing the oxygen supply. If all rain forests disappeared, almost half of the world's species of plants, animals, and microorganisms will be destroyed or seriously threatened. Question 17: Why is human overpopulation a major concern? Explain all the resources needed for a human to sustain life. Because of overpopulation, many resources are being used faster and running out faster. The basic resources needed for humans to sustain life are food, water, and some kind of shelter just like any other organism. Question 18: Pesticides- what are they, how do they adversely affect the environment, and how does this create problems with the genetic diversity in crop production. Pesticides are chemicals used on plants to get rid of insects that can damage the crops. Pesticides are helpful because they control bugs but they can also harm the environment by getting into the water and harming the animals in the water. Question 19: Interpret this quote. "If the bee disappeared off the face of the Earth, man would only have 4 years left to live." Maurice Maeterlinck, The Life of the Bee. 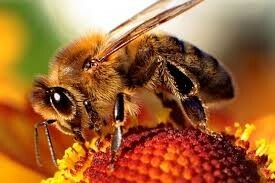 If bees disappeared, there would be no more pollination so no more plants. This causes no more animals and no more humans. Question 20: It is the year 2070 and you are having a conservation with your grandchildren about how the environment has changed since you were young- give a prediction of how the Earth would look to them. In 2070 there will probably be a lot less rural areas. There will be more big cities but more gardens as well. I think we will have found new resources to produce energy.